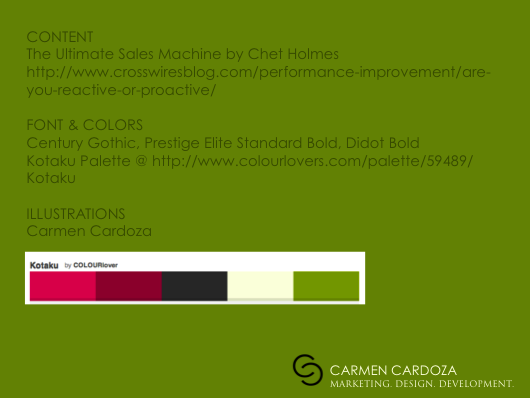 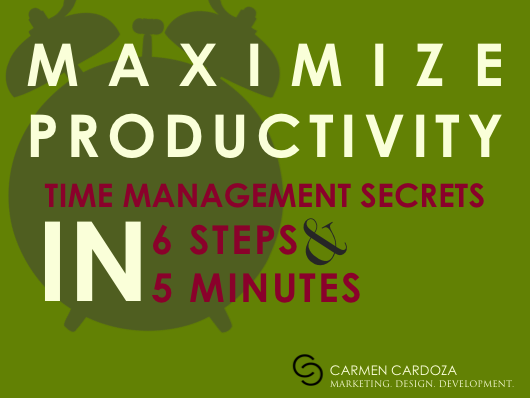 Following, are six steps to great time management as outlined in one of my favorite books, The Ultimate Sales Machine. 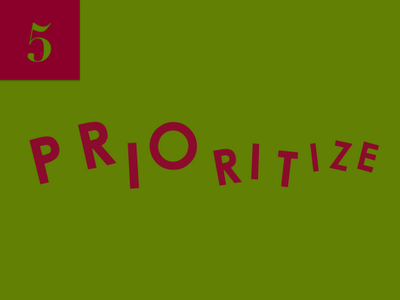 The key message being that we must condition our concentration muscles in order to get what matters done. This is about equipping yourself and your team to make the most of the work day, and make profound transformations in your business. 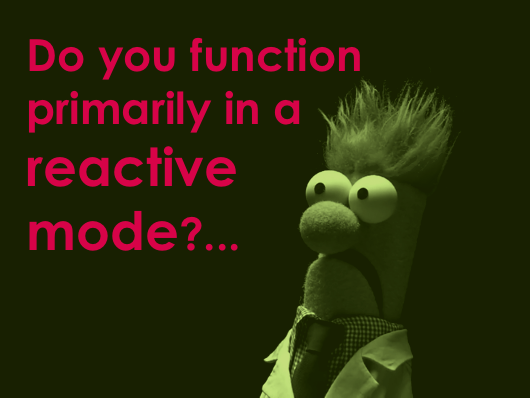 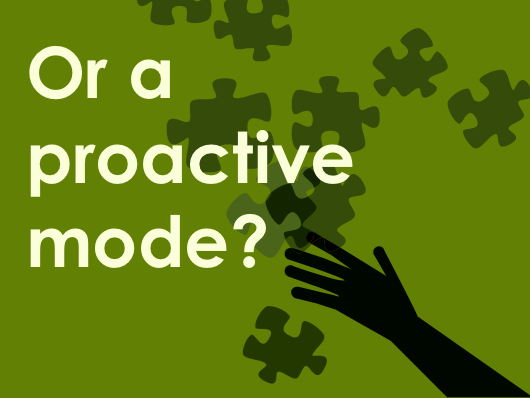 In your business or department, do you function primarily in a reactive mode or a proactive mode? 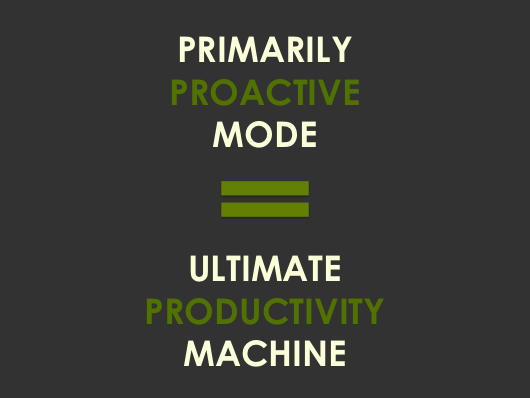 In order to build the ultimate productivity machine and avoid burn out you and/or your team must function in a primarily proactive mode. 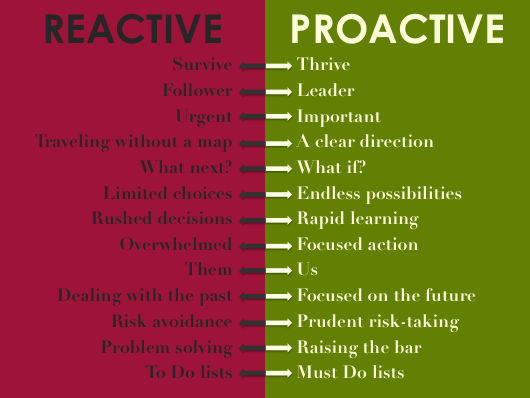 Here are some good indicators to help you assess whether you are functioning reactively or proactively. You must equip yourself AND your team to be time management gurus (and on the same page), if you wish for your business to thrive. So here are the 6 fundamental steps to implementing great time management. Can I deal with this now? 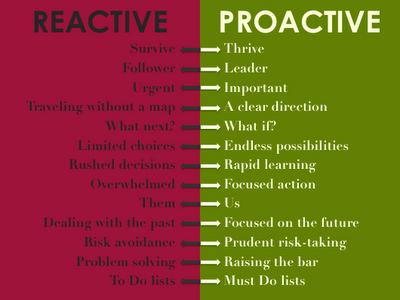 In other words, to transition into proactive mode you have to stay focused on your must-do's. 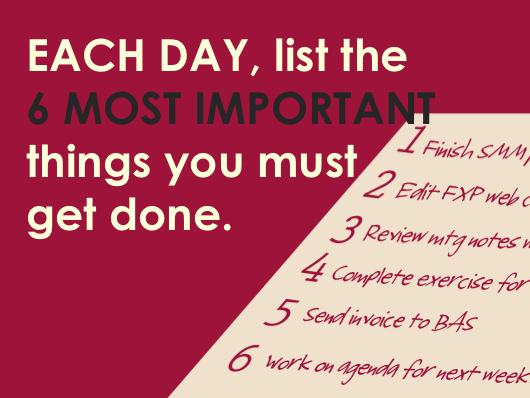 If it's not on your Must Do list and can wait - file the item in an appropriate folder, add it to your To Do list, and get back to your Must Do list. 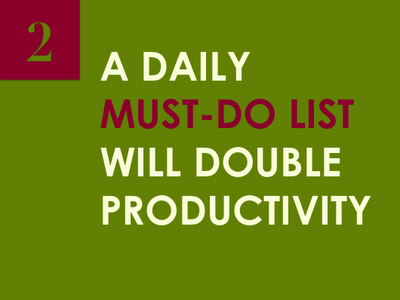 A daily Must Do list will double your productivity. 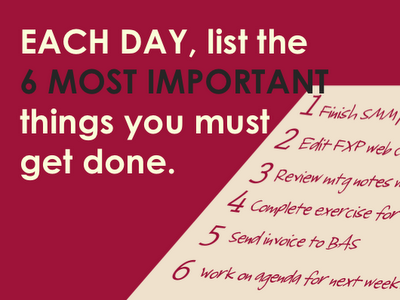 Keep a master To Do list for all pending items, ideas, etc. 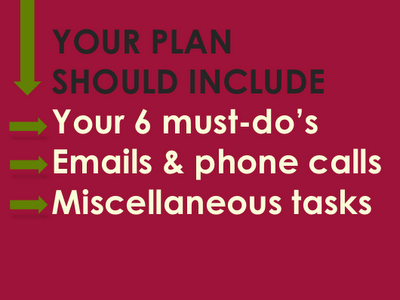 However, keep a daily Must Do list of the 6 most important things you must get done today. 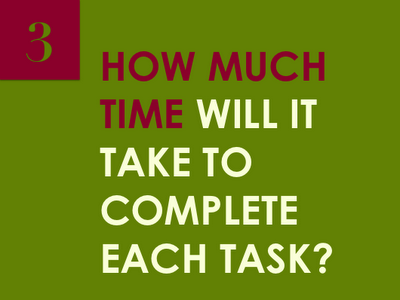 How much time will it take to complete each task? 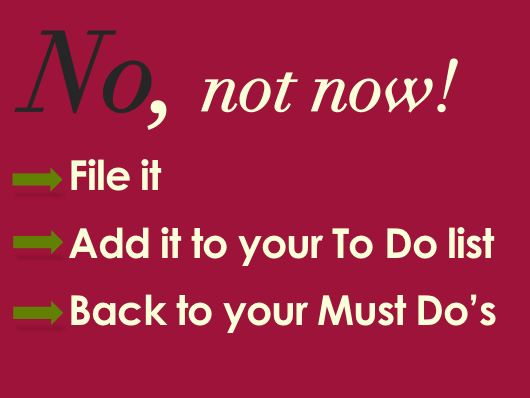 This is important. Next to each item on your Must Do list, write down how much time you will realistically spend on each item. Assign time slots for everything. 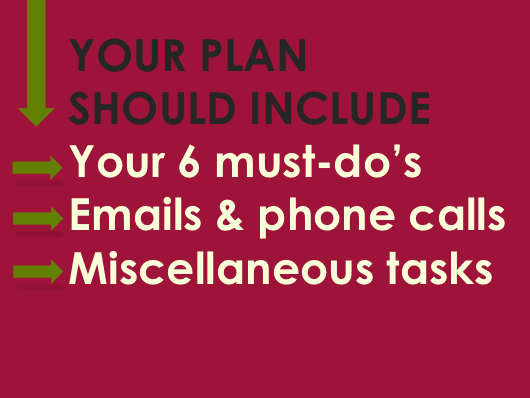 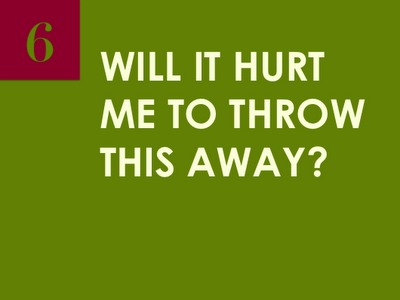 Your plan should include your 6 must-do's, emails and phone calls, and miscellaneous tasks. 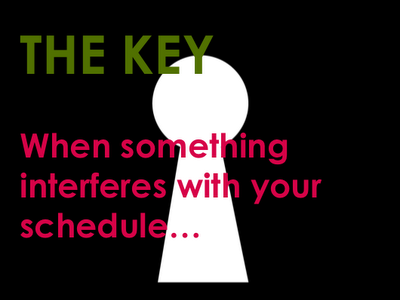 Even carve out time for interruptions, as they will come. 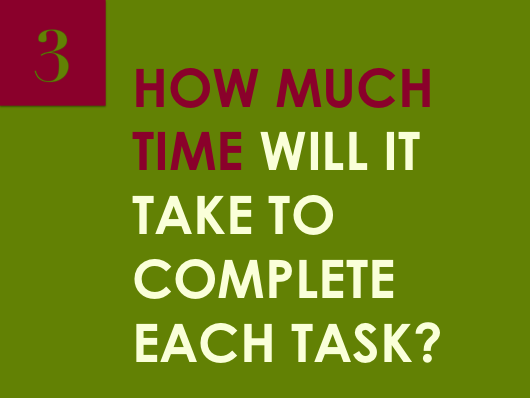 You may want to go straight to the easier tasks first. 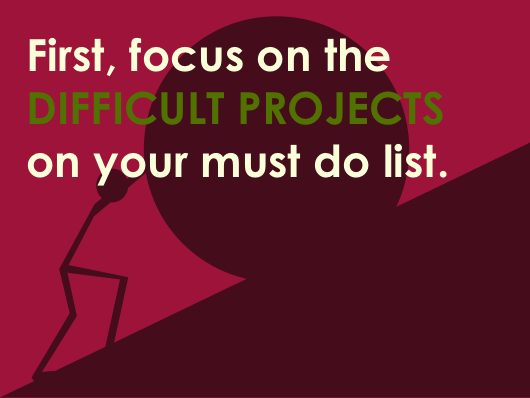 Instead, tackle the more difficult projects on your must do list first. As the day goes by, you will lose some energy and focus. 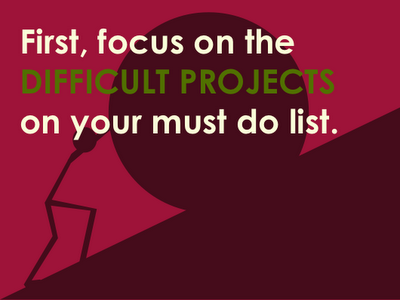 You don't want to confront the difficult projects at that time. 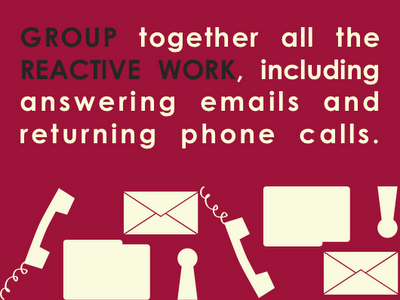 Group all your reactive work together for better efficiency. 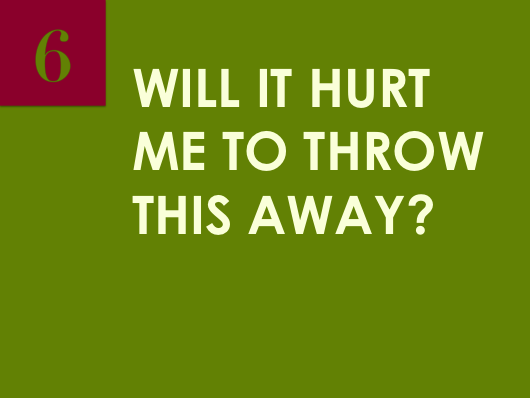 Will it hurt me to throw this away? In other words, de-clutter your space and your mind. Stop holding on to busy work. 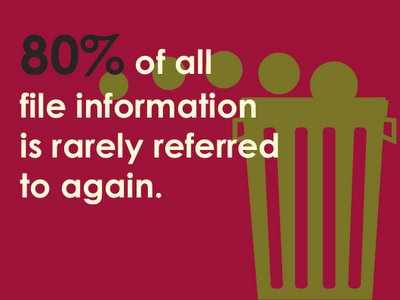 You will waste precious time filing info that you may never refer to again or that you can find elsewhere, if necessary. 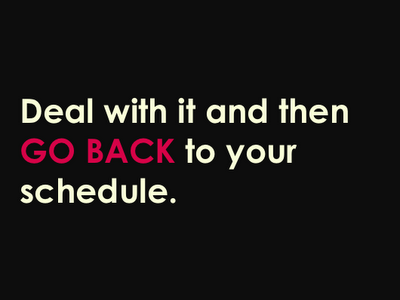 When something (someone) interferes with your schedule, deal with it/her/him and get back to your schedule. 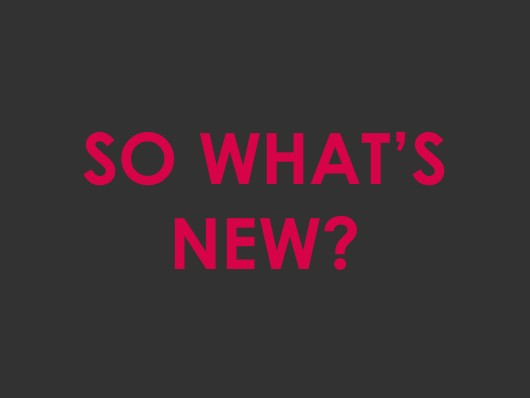 Nothing new, right? 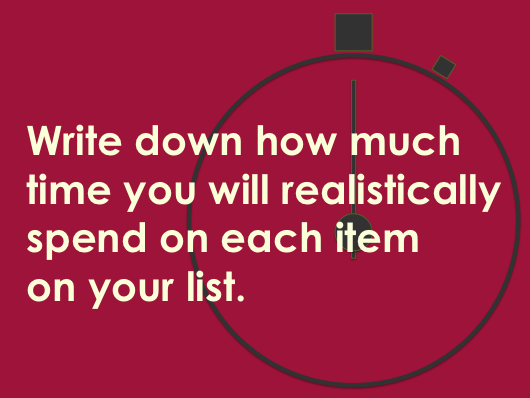 We know all of this. So what's the point? Implementation, is the point. 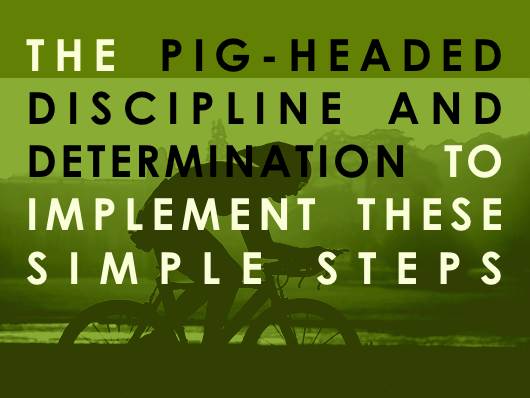 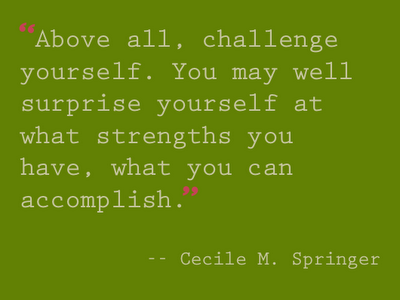 Do you have the pig-headed discipline and determination to implement these simple steps? 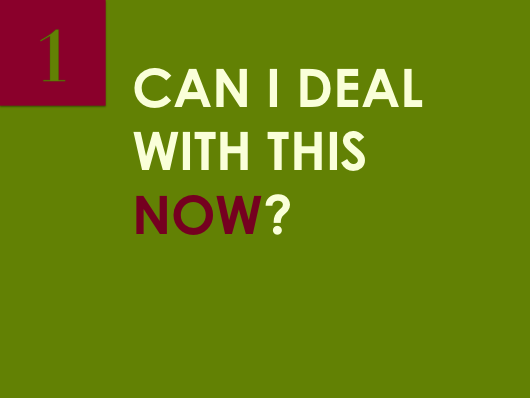 I know I'm working on it. 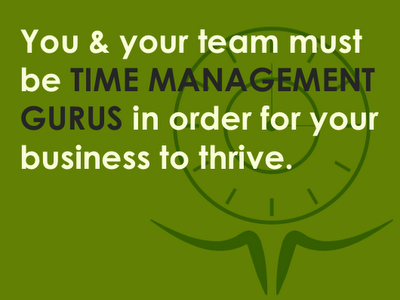 Are you a time management guru? 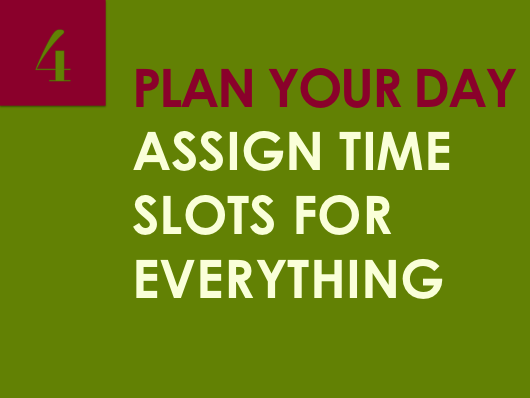 How do you organize your day? 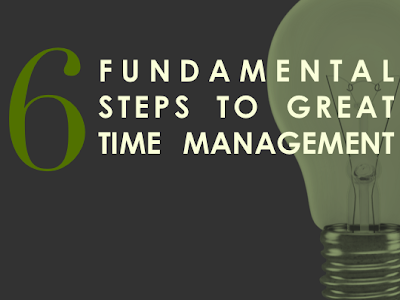 Does your team follow the same time management principles that you follow?